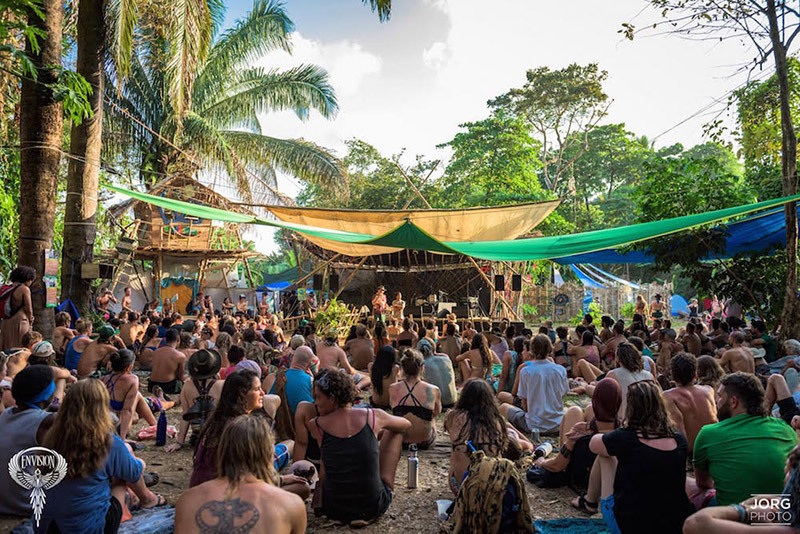 the tropical jungle home of Envision Festival, you can’t help but notice that nature most definitely runs the show here. From the undulating buzz of the ever-present cicadas to the detoxifying semi-equatorial heat to the screaming green jungle canopy filled with rainbow-colored birds and curious monkeys, this gathering of consciousness is alive and vibrating with a very unique flavor of elemental energy that’s hard to find anywhere else in the world. Couple that with an endless stream of deeply transformational wisdom teachings and workshops with many of the world’s top conscious thinkers, healers, visionaries, and permaculturists, some of the finest organic, sustainable food in Costa Rica, and the pulsating rhythms of ultra-creative musicians and visual artists, and you’ve got a divinely intoxicating blend that penetrates straight to your core. And we’d have to agree. 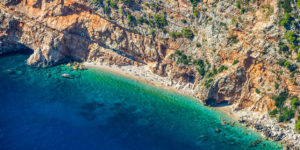 For us, at least, the highlight of the festival—other than the truly stunning beachside jungle locale and open-hearted, welcoming conscious community hungry for deep connection—were the workshops, which are truly world class in every sense of the word. Envision attracts the crème de la crème of thought leaders in every area relating to consciousness, health, transformation, permaculture, the arts and movement, entrepreneurship and sustainability to share their wisdom and insight in an informal, highly practical, down-to-earth way. 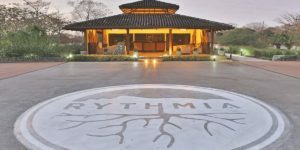 At any given moment there were at least three different participatory talks and workshops downloading enlightened ideas into the minds of attendees and spawning new neurological connections, tribe building, and inspired visions for a positive now and future for both Costa Rica and the world at large. In a more secluded corner of the canopy, at any given moment yoga, meditation and movement teachers from around the globe offered food for the body and soul amidst the at times intense daily heat under large, colorful shade structures for those looking for a quieter, more introspective festival experience. Our next favorite thing about Envision was the food. Think organic, local, grass-fed, biodynamic, wildcrafted, gluten-free, all-natural, high vibe goodness from every area of the country—easily the biggest collection of healthy, nourishing food in Central America assembled in one place. From slightly chilled exotic jungle fruits, juices and smoothies from the surrounding communities to cool you off during the peak midday heat to handmade locally sourced organic, vegan veggie burgers served on banana leaves for a hearty meal at night and everything in between, Envision has something for every diet and every taste—all of the highest quality and sourced from permaculture operations throughout the country. Which, of course, should come as no surprise given that festival founder Stephen Brooks has been a pioneer in the growing permaculture and herbalism movement in Costa Rica, working to build sustainable communities based around organic, biodynamic and wildcrafted growing methods throughout the country for over 20 years. As the founder of the internationally renowned, sustainability and permaculture-focused Punta Mona center for regenerative design and botanical studies in the beautiful southeastern part of the country, his work began in earnest in the mid 1990s as he witnessed the extraordinary environmental destruction that was occurring at the hands of big agriculture as they recklessly destroyed rainforests and sprayed petrochemical pesticides throughout the country, poisoning the people and planet simultaneously. Inspired to not just sit idly by while one of the planet’s greatest areas of plant and animal biodiversity was destroyed, he began working to infuse permaculture values and agriculture throughout the country. 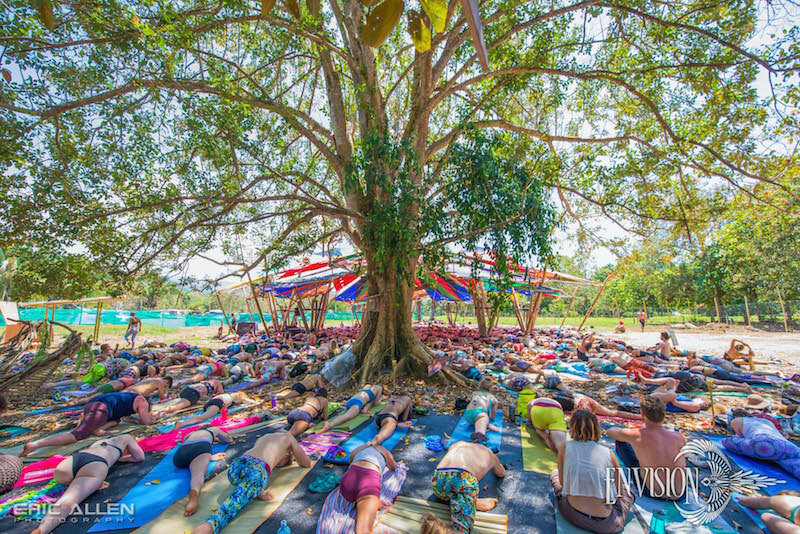 Envision Festival is, in large part an extension of that idealism, which today has mushroomed into a massive movement that’s growing throughout the country. As we spoke with Stephen at the festival, he talked about plans to purchase 800 hectares of land in the middle of the jungle to build sustainable communities with local Costa Rican families, permaculture-based ecosystems and cacao plantations all designed to create a holistic, self-sustaining eco-social system based on caring for and synergizing with the planet instead of destroying it. That ethos runs deep throughout Envision Festival from the food, to the sustainable building materials used to construct the various structures for musicians, artists, speakers and campers, to the composting toilets, and celebration of indigenous culture built into the roots of the event, all of which serve as the foundation for a massive 4-day celebration and party that attracts thousands of visitors from every corner of the planet. But it’s not all workshops, eco-culture and hanging out on the beach. 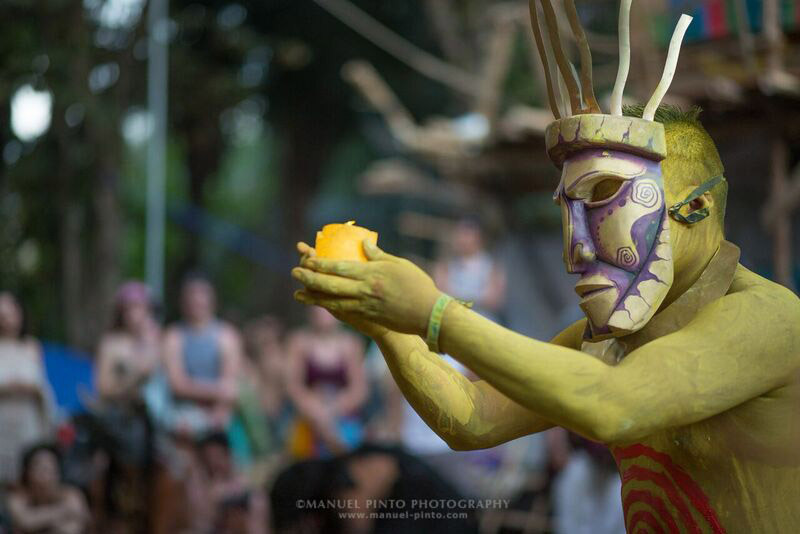 Whatever a transformational festival experience means to you, you can find it at Envision. 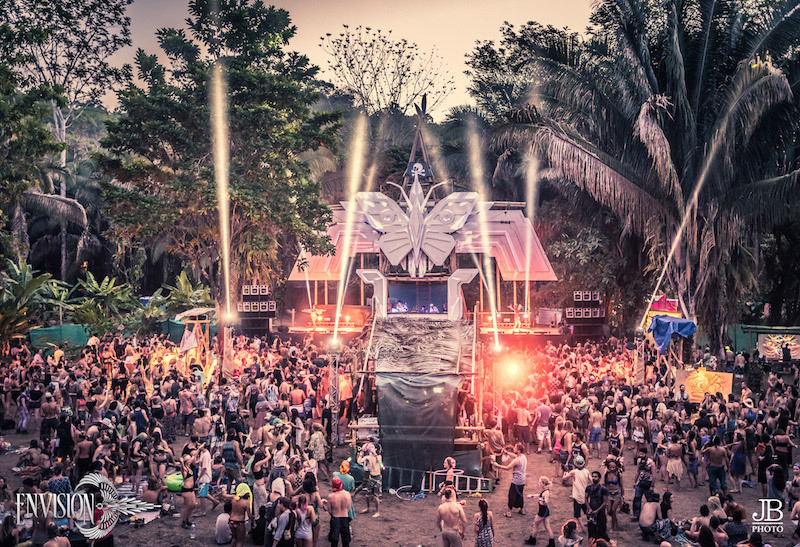 If partying and running wild until the early hours of the morning is your thing, there’s plenty to keep you busy with three main stages offering all kinds of music from tribal beats to electronica to reggae, house, techno, jam bands and even bossa nova and salsa, honoring the local Costa Rican culture. Mind-bending light shows, aerial performers, fire dancers, drum circles and creatively clad festival goers suddenly appear as the sun goes down, giving way to a more hedonistic experience—although still particularly of a conscious flavor. After all, who doesn’t need a little integration time to just let it all go after an afternoon full of life-changing transformational teaching and culture? If being more mellow and mindful is your thing at night, there are bonfires, drum circles, informal talks and meditations being held in any of the amazing sub-camps and stages peppered throughout the festival grounds. 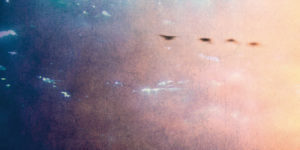 It is a wild, deep, profound, life-changing, sweaty, nourishing experience that runs a very full four days—but like all good things, it must come to an end… or not. When asked about his vision for the future, Stephen shared with us that the question he has been asking himself and all the festival organizers for years is: “How can we live like this all the time? 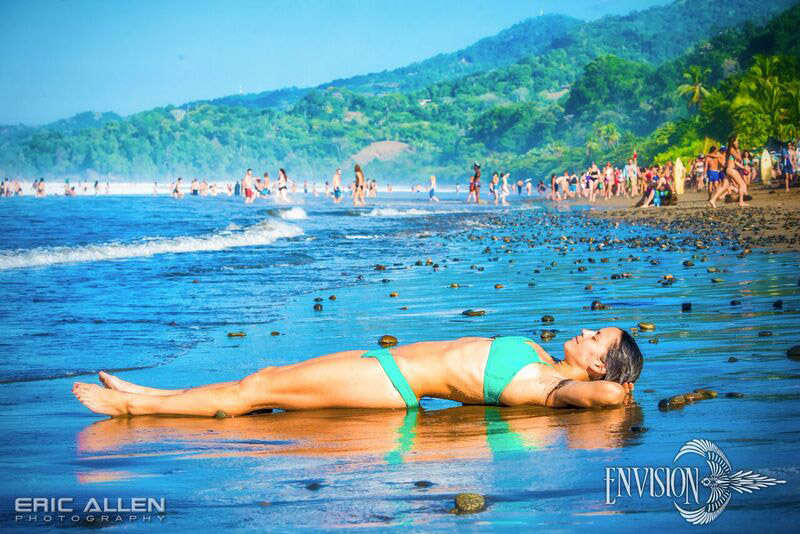 How can we take all the best things about this experience and infuse it into our culture?” The answer: Envision-inspired communities, both here in Costa Rica and abroad. Plans and efforts are in the works to launch the ethos- and permaculture-based ideals and community building practices in the United States and throughout Central America. 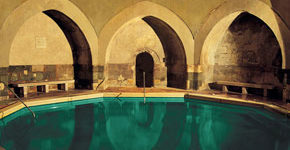 There are also a number of powerful retreats sponsored by and created in collaboration with Envision before and after the festival on everything from herbalism, to permaculture design and implementation, to sacred plant medicine ceremonies, yoga, healing, moving deeper into bodily wisdom, movement and flow and more. The knowledge participants leave with—both from the festival and the retreats—is integrated into the fabric of their being and carried with them wherever they go, spreading the seeds planted at Envision to far corners of the planet, transforming the experience into not just a fond memory, but a living, breathing movement worldwide.